Davis-Monthan based B-24E, 42-7350, took off from Davis-Monthan on March 20, 1944, for a high altitude formation flight and gunnery mission. According to the AAF mishap report, the aircraft started falling out of formation. “The plane continued to lose altitude so the pilot attempted an emergency landing with flaps up. Plane anded about 20 miles southeast of Willcox Dry Lake...rolled until it hit a gully which sheared off the right gear. Plane caught fire and burned. Pilot was instantly killed. Three other crew members trapped in the plane burned to death. 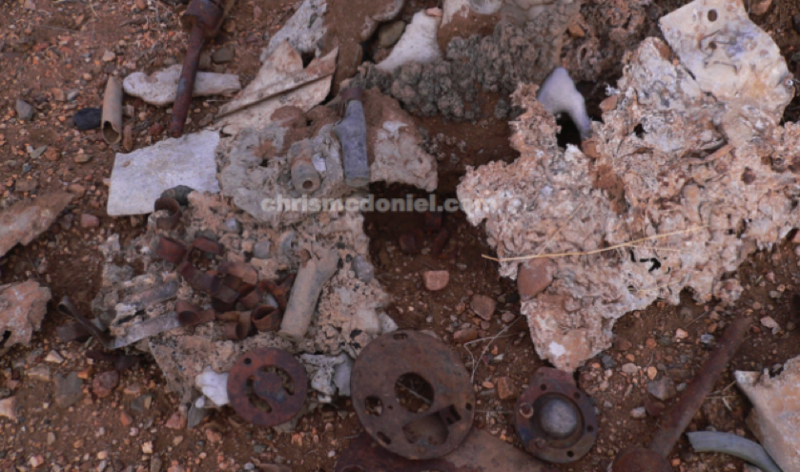 Small scattered debris including remains of a .50 caliber rounds. 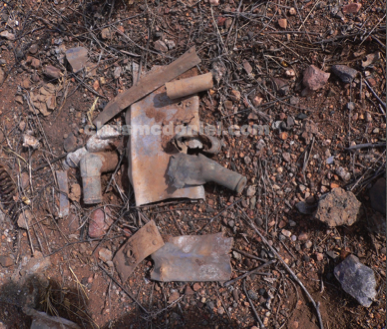 Melted aluminum and .50 caliber links and bullets among the debris field. 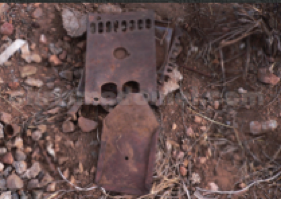 Plate to plug in a flight suit at higher elevation. 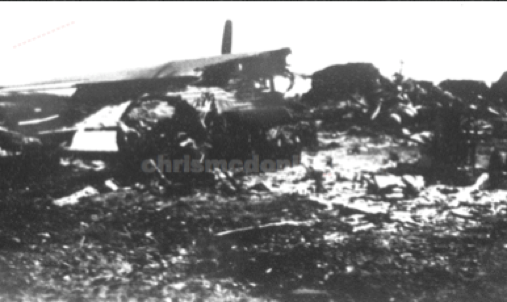 Remains of the B-24 after the fire.